University of Massachusetts Soft Matter Day has been running for three years. This was the first time the soft matter theorists were in attendance. It’s a nice, small conference. Personally, I prefer small conferences, they’re very relaxing; despite having to leave at 7:00am! Every member of our group presented a soundbite. 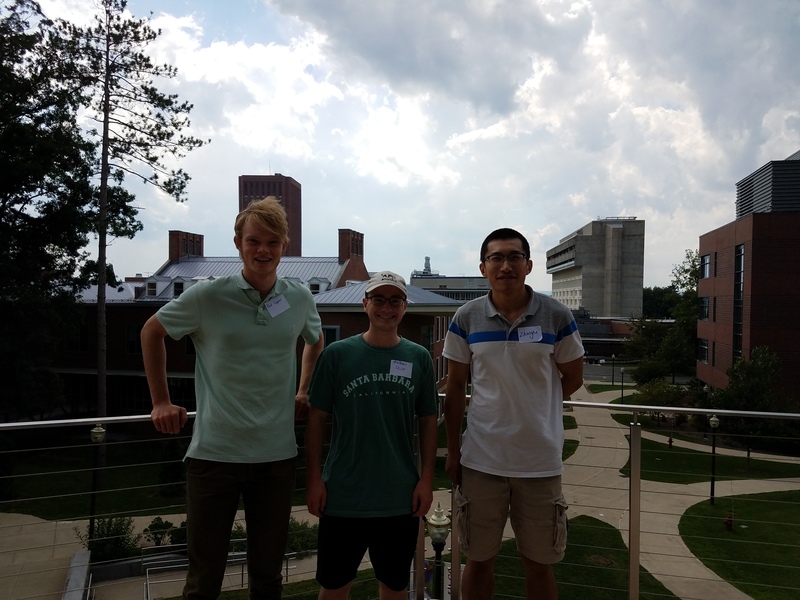 Zhaoyu Xie presented on Restructuring of Viscoelastic Droplets. 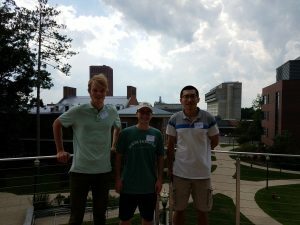 In true theory form, our summer intern Edgar “Zed” Lyons presented some exciting results he finished just the day before. After weeks of work, he managed to successfully model the curvature of the meniscus between a gel droplet and a glass substrate. Soft Matter Day was actually his final day with us. Since Williams is so close to UMass, he got to present for all his friends! His research advisor at Williams, Kate Jensen, even gave the closing presentation. I presented some old results from my research project, Particles on a Sphere Under Gravity. I also presented my poster from the Soft Matter Summer school. I even won the best poster contest! The attached photo is a picture of the trophy. 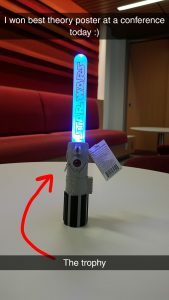 Yes, it is a lightsaber. Thankfully, I got the Jedi trophy. I’m not sure if I would be comfortable with the Sith saber. Since it was Zed’s last day we went out to a local BBQ place nearby called Bub’s Barbecue. The locals speak very highly of it. And after trying it, I can say for good reason. It was a nice send of for Zed and a fun conference all around!